It’s taken a good few weeks and I’ve we’ve deliberately not rushed it but the house is coming along a treat! Nearly every room is between 80-90% ‘there’ and the first of those to be completed was the heart of the house…the kitchen. We set ourselves a challenge. We loved our previous house and had always found it a challenge to beat or meet the ‘feel’ of that home. The good news is both of us, Ɓjöяn and I, agree that we love this house even more. 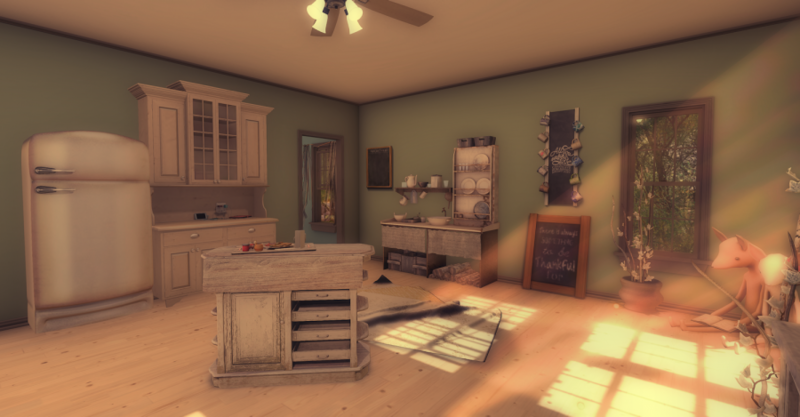 I wasn’t even sure what else I wanted to add to the room but I found the final perfect item today during the Fifty Linden Friday event. Lark has this superb mug holder chalkboard available in 2 versions. I loved the chalkboard one with the a number of custom options…different woods and a number of different textures for the chalkboard face texture. 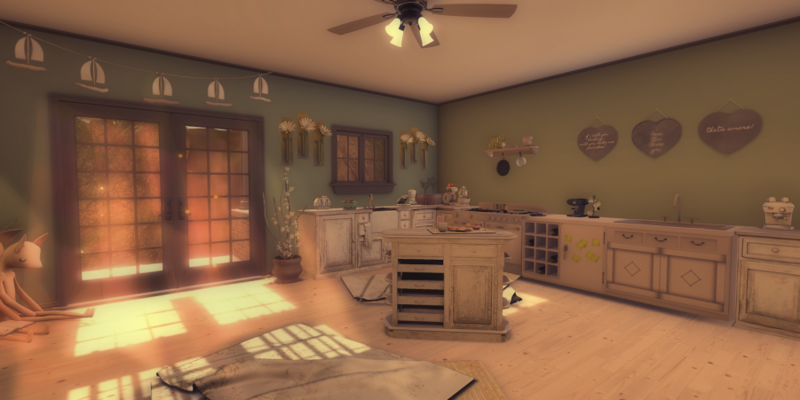 I’m sure we will add more items over time but I can finally sit back and think ‘yeah…lovin that kitchen’.